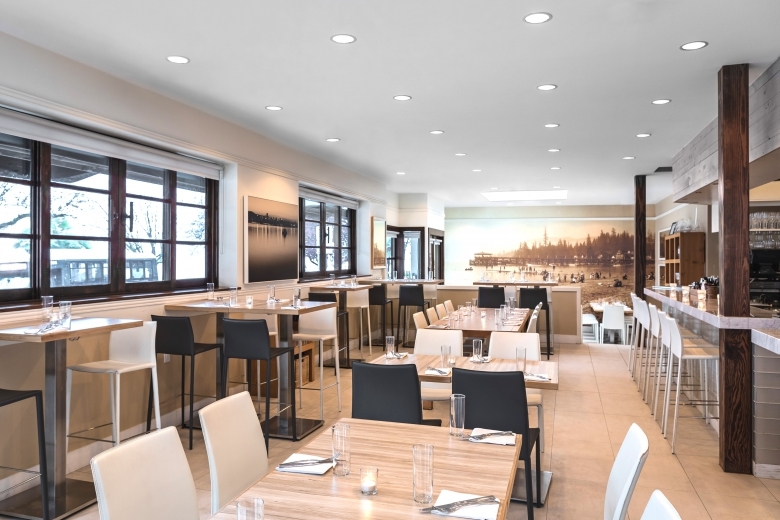 With one of the best locations in the city, Beach Bay Cafe and Patio (1193 Denman Street) is the perfect spot for your next special occasion or romantic dinner for two. 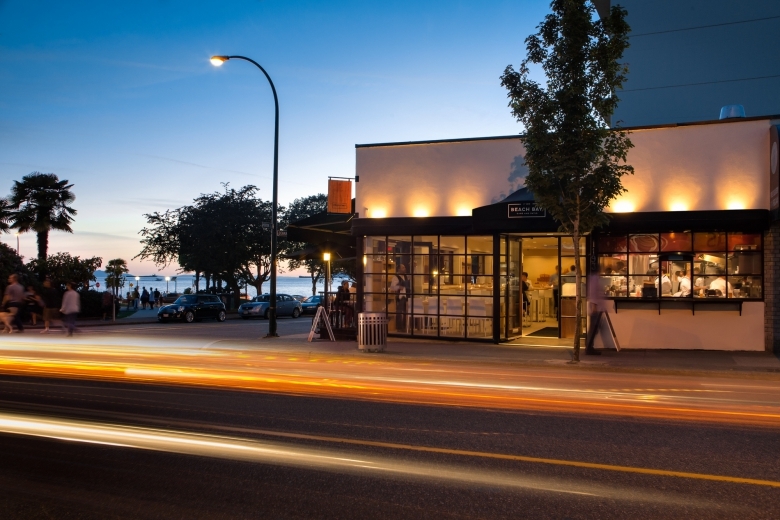 Their picturesque, oceanfront setting allows diners to soak up gorgeous views of the water and cityscape while enjoying the flavours of the West Coast. We recently caught up with the Beach Bay Cafe and Patio team to learn more about what they’re up to. 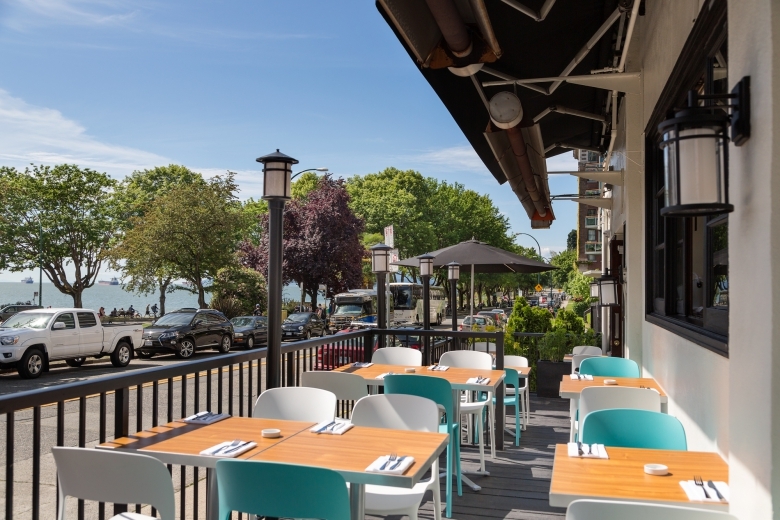 What do West Enders need to know about the Beach Bay Cafe and Patio? With one of the most scenic spots in the city, visitors to the Beach Bay Cafe and Patio enjoy stunning sunsets and spectacular beach views from both the heated patio and dining room. Our light-filled, airy interiors have incorporated local materials with modern design finishes and details to create a contemporary space – with a focus of bringing the outdoors inside. A sepia-toned photo of the English Bay Pier dating back to 1910 adorns an entire wall of the restaurant, paying tribute to the area’s renowned scenery and history. 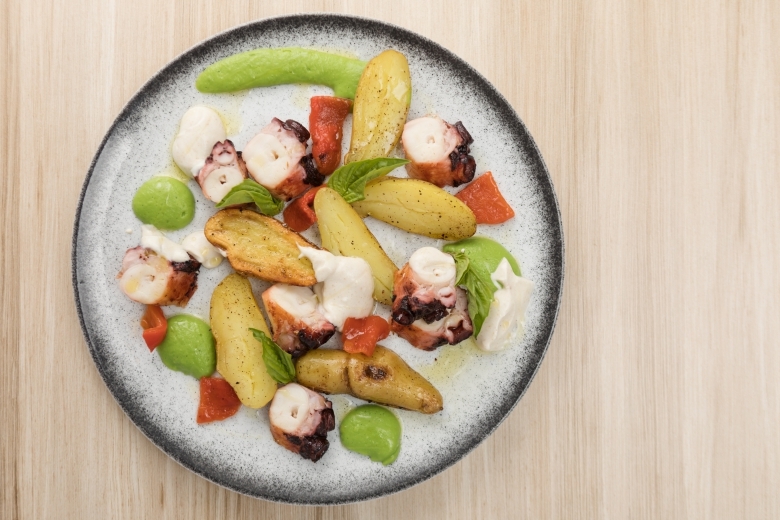 As a proud partner of Vancouver Aquarium’s Ocean Wise program, we feature top quality, sustainable seafood and locally sourced ingredients harvested at the peak of freshness. The culinary team have put forth a memorable variety of dishes that combine local flavours with global influences. And with a selection of small, medium and large plate offerings, guests can opt to share amongst themselves, or enjoy on their own. Drawing inspiration from the beautiful Pacific Northwest, Beach Bay’s menu focuses on fresh, sustainable seafood, and locally sourced ingredients from carefully curated and trusted suppliers. The menu features globally-influenced, inventive dishes that explore new flavour combinations and ingredients, and in a variety of offerings – small, medium and large plates – allowing patrons to share between themselves or enjoy entirely on their own. The West End provides a unique experience to both residents and visitors. From its scenic beauty to its storied heritage, and diverse and eclectic set of businesses, services and shops – it is a true gem in the Vancouver cityscape. It is also an inclusive and warm community and there is a strong sense of pride within the neighbourhood and its residents. We love the artistic, entrepreneurial, welcoming and natural beauty of the West End of Vancouver. What's next for Beach Bay Cafe and Patio? Our team at Beach Bay Café and Patio is consistently putting together new events, special features and programs, so that there is always something new and exciting happening, and a new reason to come back. Right now, we have a wonderful ‘Neighbour Card’ program that offers great perks to our loyal patrons and neighbouring residents. Anyone can visit the restaurant, and pick up their card and start receiving rewards on their next visit. As freshness and flavour are paramount elements in our cuisine, we consistently update our menu with seasonal delicacies such as BC spot prawns, fresh halibut, and other wonderful ingredients from local BC suppliers and farmers. 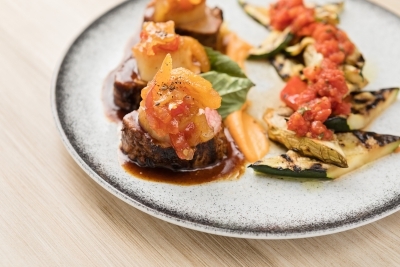 In addition to our normal menu, we also offer a unique Tasting Menu created by our stellar culinary team – which takes the decision making out of the equation for our patrons, offers great value, and a memorable dining experience. The best way to stay on top of all the great things that are happening at Beach Bay Café is to sign up as a ‘Beach Bay VIP’ on our website or follow us on Facebook, Twitter and Instagram for regular updates.